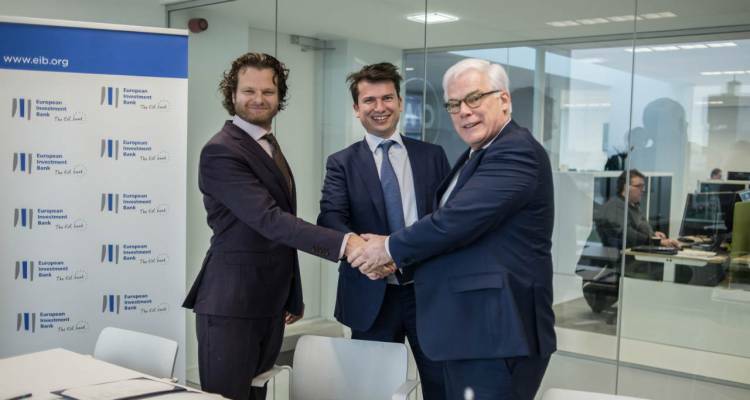 The European Investment Bank (EIB) has made available a EUR 10 million facility for international Software as a Service (SaaS) company CM.com, to speed up innovation and development of its messaging, payments, voice and digital identification applications. The financing will be guaranteed under the European Fund for Strategic Investments (EFSI), part of the Investment Plan for Europe of the European Commission. The facility will allow CM.com to broaden its technological advantage and speed up the roll-out of the digital security solutions it develops. The loan is also beneficial for maintaining specialised jobs in Europe, as the capital will mostly be used for research and development purposes. Furthermore, CM.com will invest in new “Internet of Things” (IoT) applications and the further development of its ‘One Platform’ philosophy. This means that all mobile and digital functionalities, including messaging, payments, voice and digital identification, should be easy-to-use and available through one single platform. "This project really is a showcase for how the EIB can support cutting-edge technology, also thanks to the EU budget guarantee." said EIB Vice-President Pim van Ballekom. "The Netherlands has a fantastic ecosystem of small and medium sized tech companies that people on the street may not have heard of yet, even if they use their services every day. I’m glad that the Bank can support CM.com and other companies in the sector, they really are a flagship for the Dutch knowledge based economy." European Commission Vice-President Andrus Ansip, in charge of the Digital Single Market, said: “If we want the EU to be a tech leader, then we have to encourage our companies to develop bold ideas and ensure they receive financial backing. This is exactly what today's transaction aims to achieve. Strengthening cybersecurity in Europe is one of the Commission's priorities and CM.com is contributing to this objective." Does Viber play a part in your multi-channel strategy? With over 900 million active users in 193 countries, companies can no longer exclude Viber as a channel to effectively reach their customers. That’s why we’re excited to announce that Viber can also be used advantageously via the CM.com platform. When SMS Messaging is a critical part of your business processes it’s important to work together with a partner which ensures high availability. For almost 10 years, CM.com provides a double redundant SMS gateway to her high-end customers. From now on this high availability is ready for all our customers. As part of the strategic partnership with UNICEF, two young South African developers are doing their internships at CM's Dutch headquarters in 2018. Meet Jennifer Nkhwashu and Pertunia Mojapelo, our two new South African interns. As a proud partner of UNICEF, CM.com participates in the Techno Girl program, hoping to give these two girls a unique experience in The Netherlands. Every day, over a hundred developers are working on improving the CM platform. In this update, we want to inform you on the latest changes made to improve your platform experience. RCS is taking over the world of SMS. Or is it? The next big thing in mobile communications: Google’s RCS promises to upgrade messaging with popular chat features. It is even said that RCS will replace SMS as the new interactive messaging service. But does RCS really mean the end of SMS? The world is going to self-directed people, organisations and systems. Smart systems make old-fashioned processes up to 10 times more productive and efficient. Within this development, CM cooperates with trend watcher Vincent Everts. Everts is innovation Ambassador to CM.